Get yourself equipped, so you can stay safe and enjoy your journey! Have you ever been on a long journey and noticed one of your tyres was slightly flat? Have you enjoyed a day at the mall only to find you have a puncture? Your heart may sink further when you realise there are no workshops nearby (especially if you are on a long Zambian road in the middle of nowhere). A flat tyre can be a real pain. In most cases you will find a puncture is caused by a nail or a foreign object that has engaged itself in the tyre resulting in low pressure. To stay safe and enjoy your trip, we recommend changing your tyres well before the tread gets low. This will help avoid flat tyres altogether. To help you on your way, this month’s 15% off special is on tyres and tubes (from 7th-13th May). Even with a good tread, a tyre may still sometimes develop a puncture. When this happens, you can ensure you finish your journey safely with the TJM tubeless repair kit and mini compressor which come with an instruction manual and guarantee. Both are small enough to permanently stay in the boot of your vehicle. With the kit you can be equipped for any quick fix regardless of the car you drive. Nowadays most vehicles run on tubeless tyres. This makes it very easy to repair them without needing to remove the tyre from the vehicle. How can I tell the difference between a tyre with a tube or one without? Tyres with tubes have a valve protruding from the tube. Tubeless tyres have a tubeless valve which is fitted to the rim of the tyre. Our workshop and sales staff are happy to help you identify the difference so you can establish if the tubeless repair kit is right for your vehicle. What does the TJM tubeless kit consist of? How much will it cost you? At any Autoworld branch you can get the tubeless repair kit for K330* and the mini compressor at an amazing K1,815*. Use the pliers supplied to remove any obstructions in the damaged area of the tyre. Clean out the hole using the rasp tool (file). Inserting the rasp tool into the hole a few times will sufficiently clean the hole and make room for finally inserting a patch. Apply the lubricant supplied to the shaft of the rasp tool (file). This will assist when the rasp is inserted into the hole created by the removed obstruction. Thread the repairing cord (patch) through the eye of the needle tool. The lubricant can be applied to the tip of the needle tool to help you easily insert the cord (patch) into the tyre. Press the needle tool and cord (patch) into the filled out hole in the tyre. Ensure a small amount of the cord (patch) is visible even after it’s inserted into the tyre. Slowly pull out the needle tool by slightly pulling up on the handle. The cord (patch) should remain in the tyre sealing the hole. Do not twist the needle tool in this process. With the cutter supplied trim any excess cord (patch) protruding from the tyre. 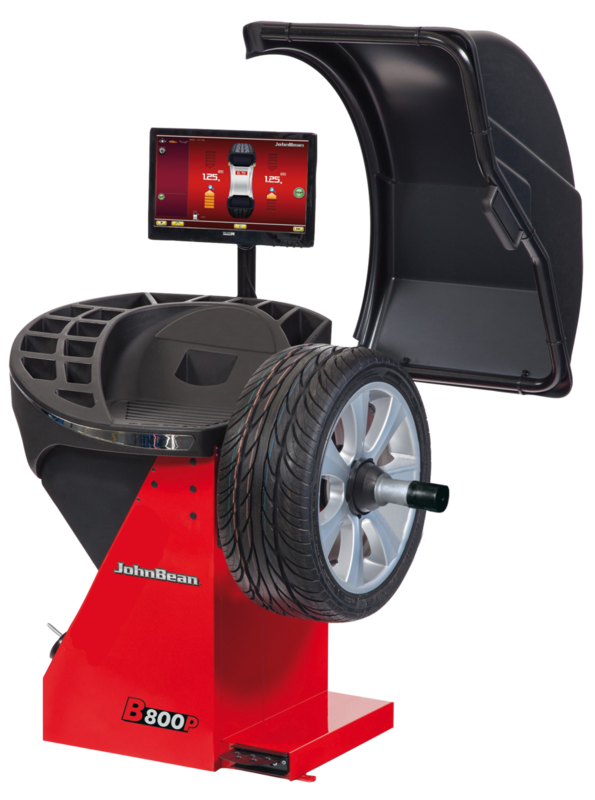 Re-inflate the tyre with your TJM air compressor to the desired pressure. Check the repaired area for any leaks by simply pouring a little bit of water and checking that no bubbles appear. As a safety measure, consider taking your car to the nearest Autoworld garage once you are able to drive. It's important to have your tyre re-checked by a professional to ensure it is permanently sealed. Contact any of our Autoworld stores for more information on tyres, tubes, the TJM tubeless repair kits and mini compressors. Visit us or reach us on Twitter and Facebook. Don’t miss out on this month’s 15% discount on tyres and tubes - visit us before 13th May. How frustrating is it when you are in the middle of watching your favourite football game or soap opera and BANG! Total blackout and powercut! We all dread load shedding. Have you heard of an ATS unit? This month's special is 15% off (from 9th - 15th April ) ECOGEN generators that come with an ATS unit (Auto Transfer Switch). This switch will automatically change the power supply from your main supply (ZESCO), to the your backup generator in just a few seconds. So, with a backup ECOGEN generator and ATS unit, you can count to 10 and you’re back to watching your match - you’d have to be having a real bad day to miss a goal in those few seconds! And, when ZESCO’s main power supply returns, don’t you worry about having to get up - the generator will automatically switch back, saving you from burning that fuel. *Please note that only certain Ecogen models are compatible with the ATS unit. ECOGEN generator prices start from K1,565. For the price of K650 the ATS unit is yours and our sales staff will refer you to an electrician who can guide you on how to connect your new generator and ATS unit (for a minimal fee). Know how much power output you need. To estimate this, most electrical appliances indicate how much power is needed to run them. Since this information is key to purchasing the right generator, it is advisable to have an electrician help you with this. If you need help, visit one of our showrooms. We’ll talk you through everything and refer you to an electrician who can help with these services for a minimal charge. Always choose a generator that has a slightly higher output than your requirements. This will allow your generator to operate at a cooler temperature and never at maximum capacity. If you overwork your generator in this way you will negatively affect its lifespan as a result of overheating. In a few cases regulators and electrical components can burn out. Ensure your generator is placed on a flat surface. This is important so that oil is levelled and all engine parts are lubricated. This will avoid engine damage. Ensure your generator is earthed. This will avoid power surges or lightning strikes (have an electrician carry out this work). Check oil and water (where applicable) at least once a month and maintain a service history. Every 100 hours of operation, the generator will need an oil change. Ensure you check your fuel levels regularly. This will help avoid airlocks (on diesel models) and power fluctuations that can destroy electrical appliances. When fuel runs out the engine revs will be irregular. This constant fluctuation affects the output power of the generator, in turn affecting the power being supplied to your electric appliances. We offer an extensive range of ECOGEN back up parts. These include all service filters and electrical components that may be required to keep your generator working in good order. We trust this information has been a great help. If you have any more questions just ask via the comments below or reach us on Twitter and Facebook. If you visit our showrooms you’ll be able to view the Ecogen generators and talk to our expert team for further guidance. Don’t miss out on the 15% discount - visit us before 15th April.